Anglia Ruskin University - AV600 Nano Powerline Adapter Starter Kit. AV600 NANO POWERLINE ADAPTER STARTER KIT. 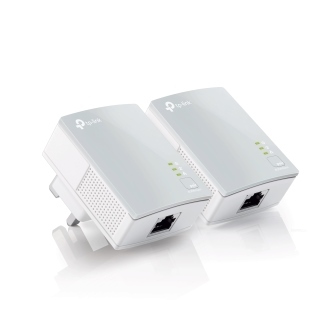 The TL-PA4010 TKIT expands your home's network over electrical wiring, allowing connected devices to reach speeds up to 500Mbps for lag-free gaming and HD streaming.